Providing you the best range of heavy duty conduit pipes with effective & timely delivery. Our company manufactures Heavy Duty Conduit Pipes manufactured from top quality Mild Steel. We design and develop these steel conduit pipes as per various international quality standards. Conduit pipes are used extensively because they can be joined conveniently. Their sturdy construction has made us stand amidst the well known Steel Conduit Pipe Manufacturers. 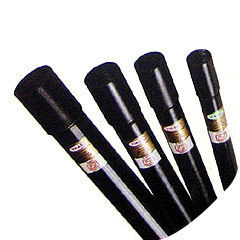 We are also acknowledged as one of the prime Black Enameled Conduit Pipes Exporters of the country. Looking for Heavy Duty Conduit Pipe ?